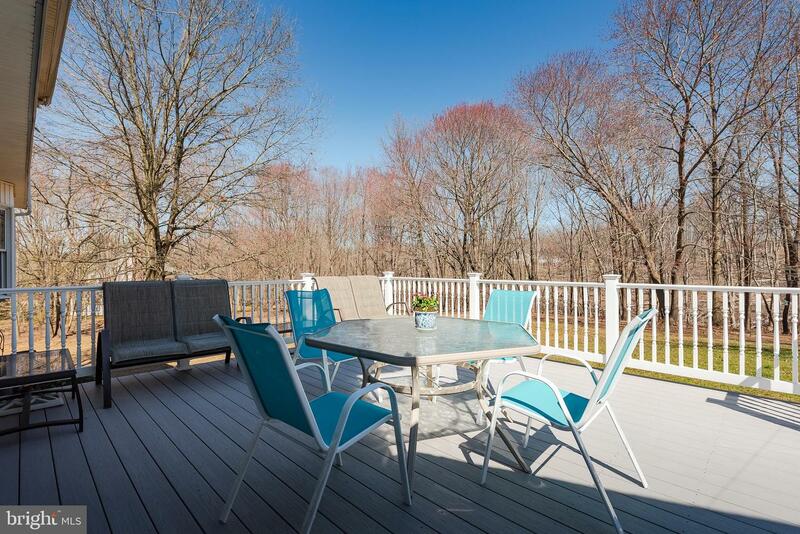 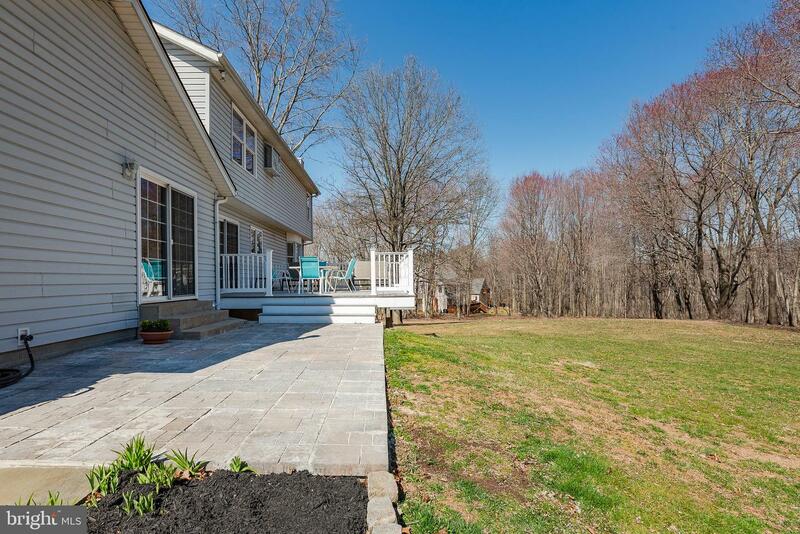 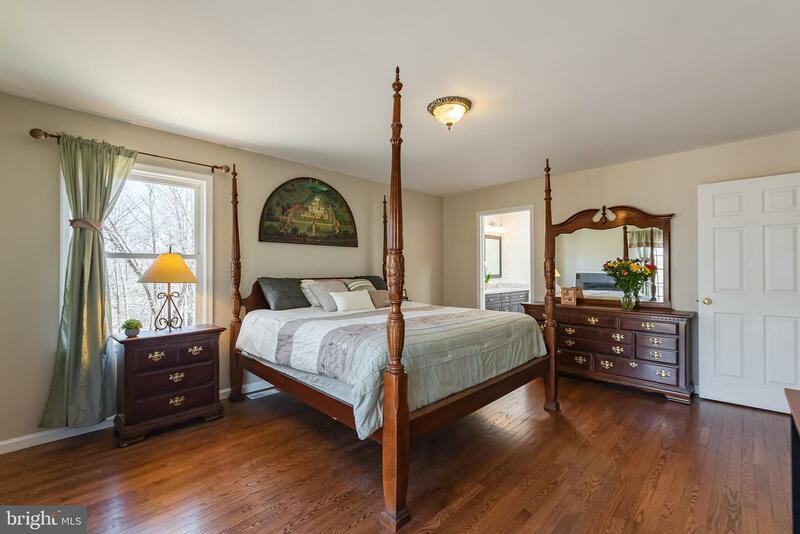 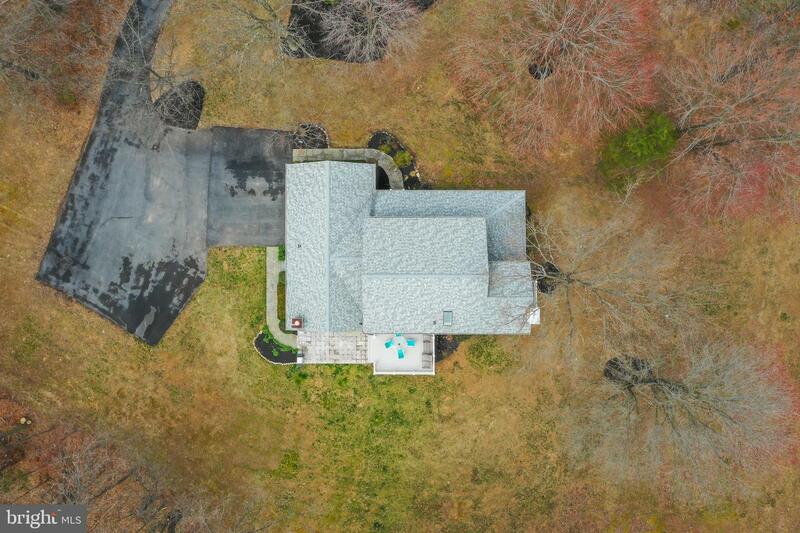 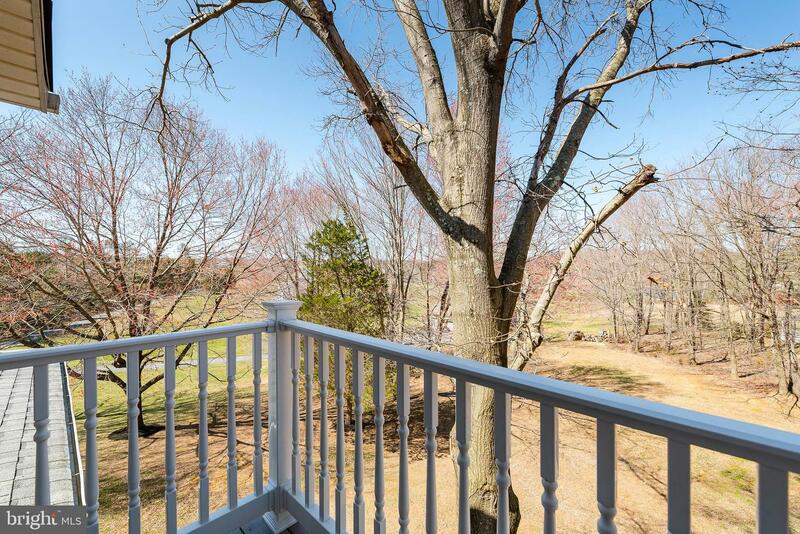 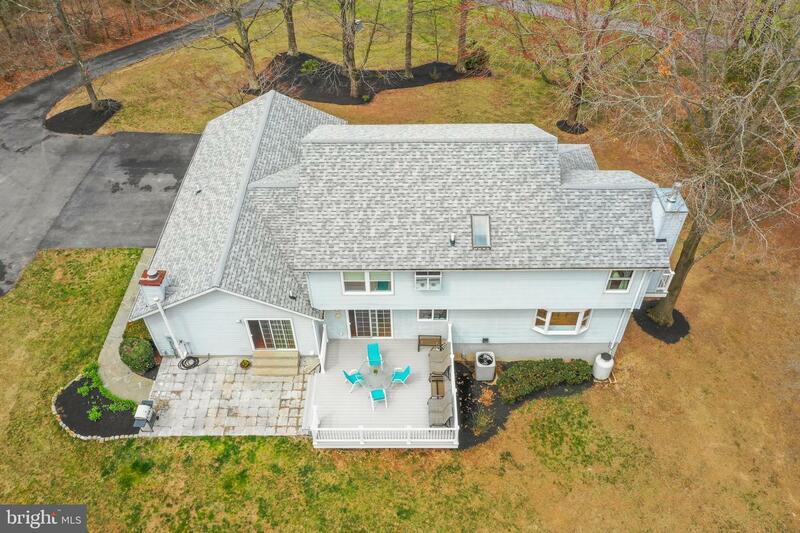 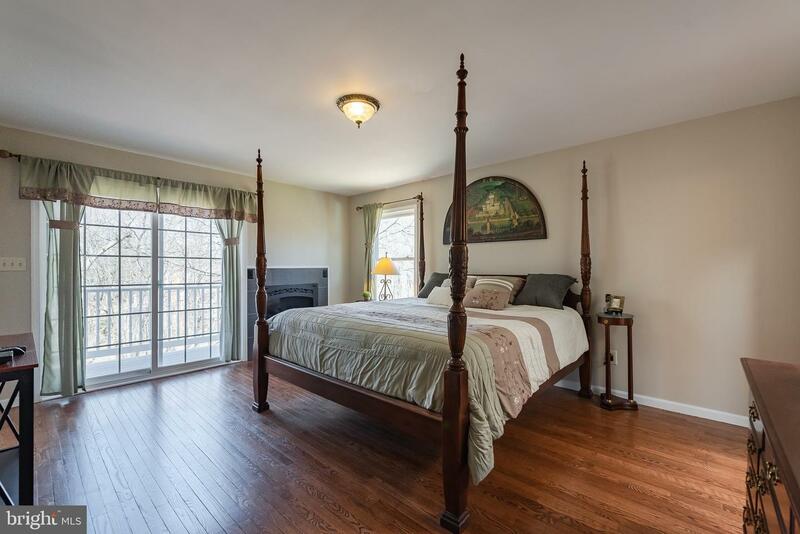 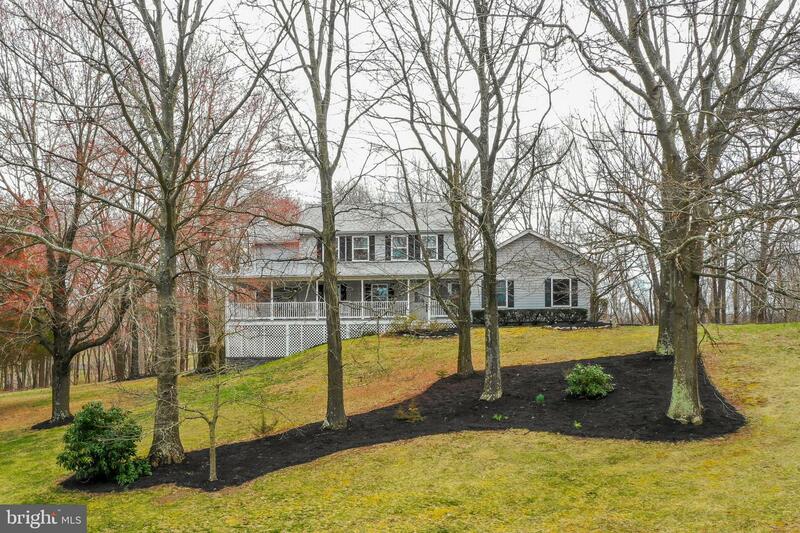 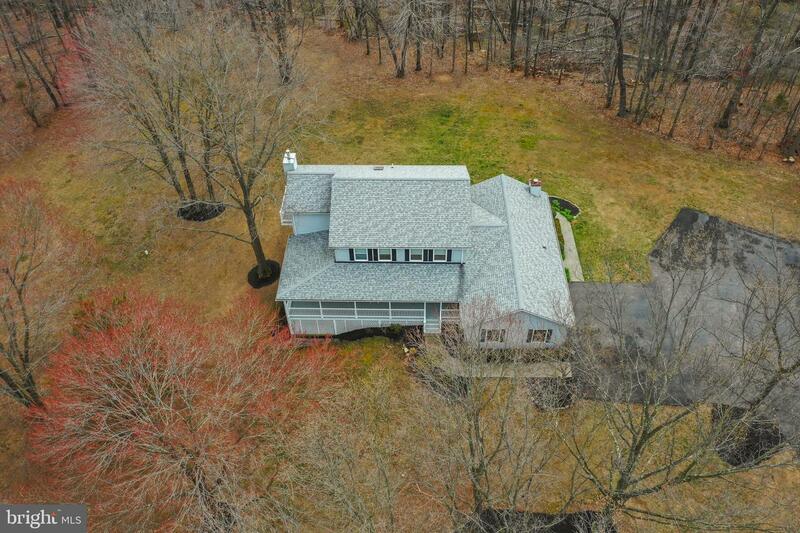 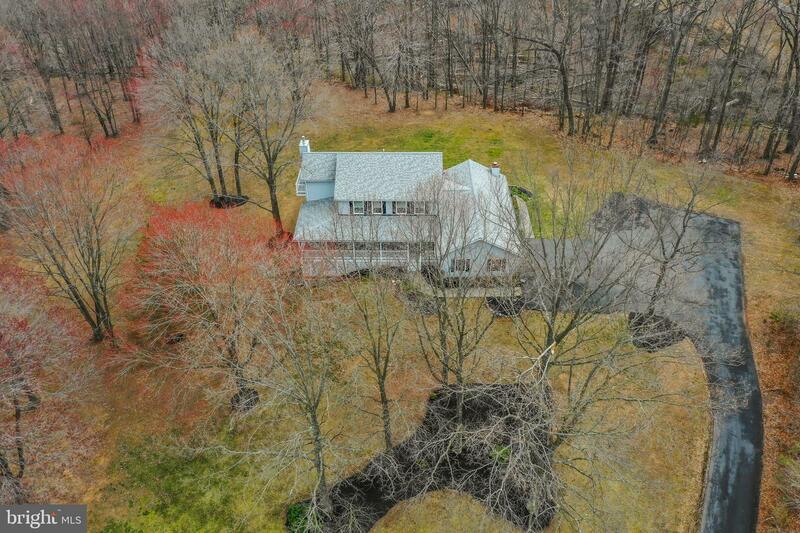 Custom-built colonial perched on an elevated 3+ acre wooded lot w/ perfect private views! 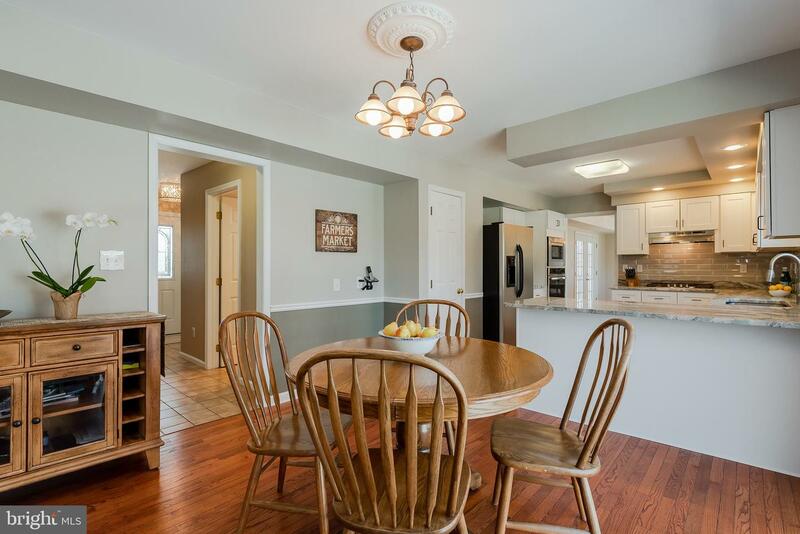 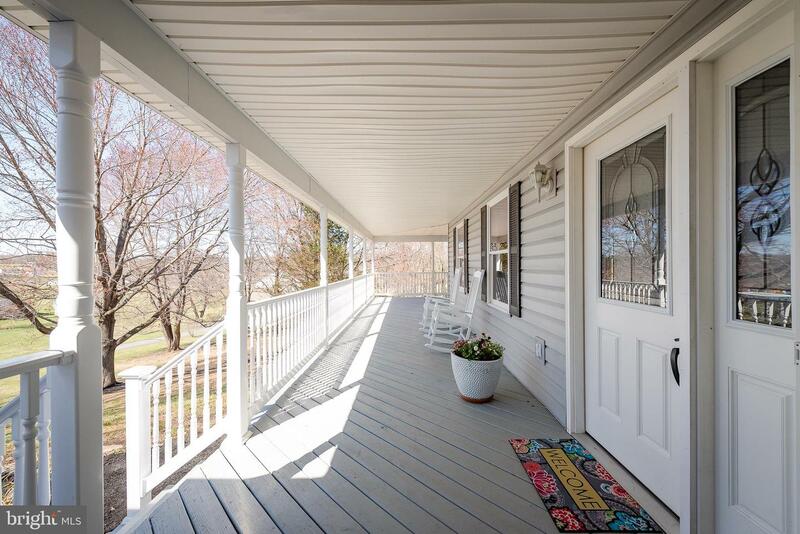 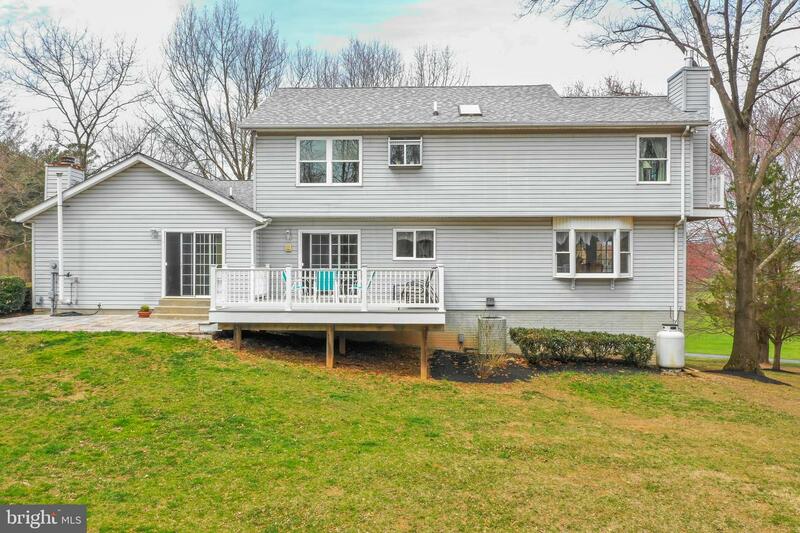 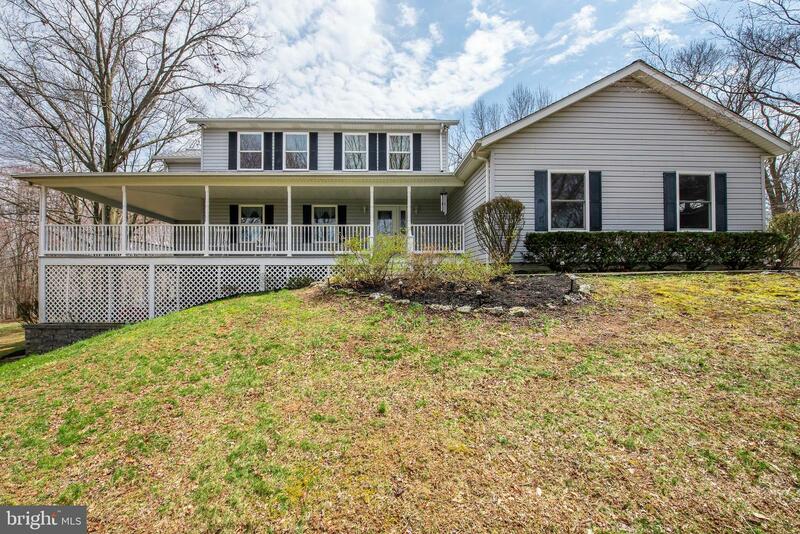 Front wrap-around porch greets to expansive living spaces w/ freshly refinished gleaming hardwood floors! 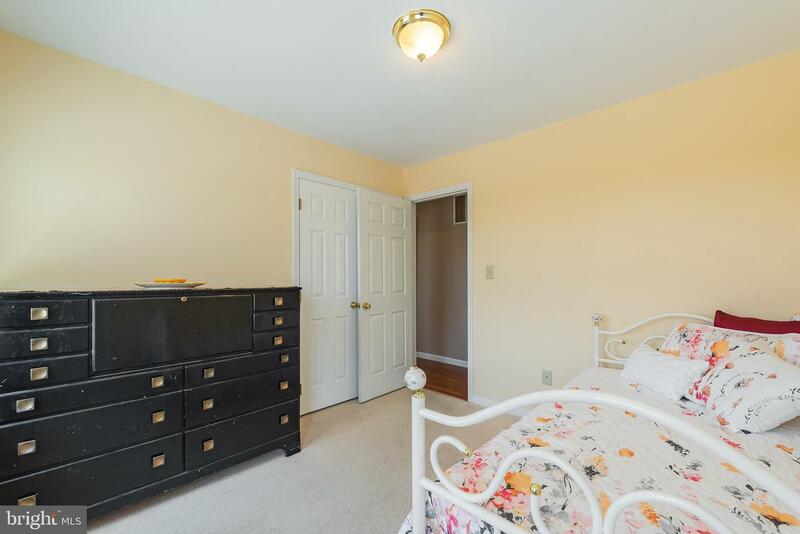 New neutral paint colors throughout. 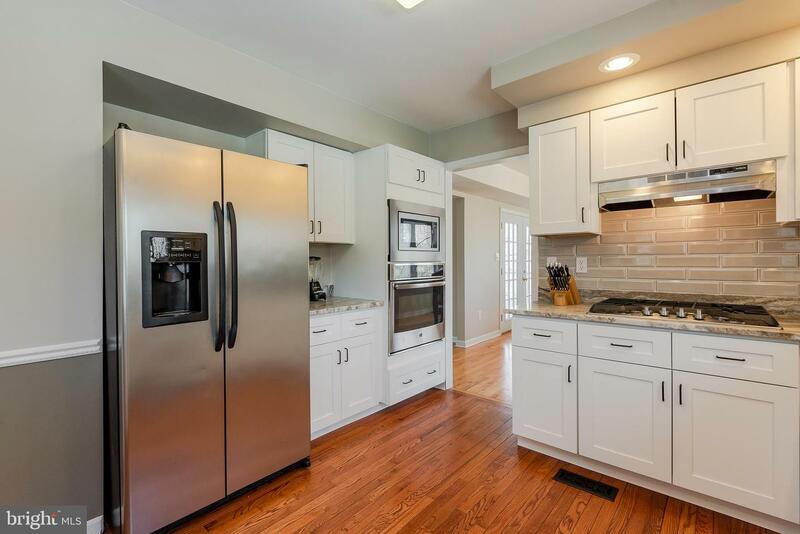 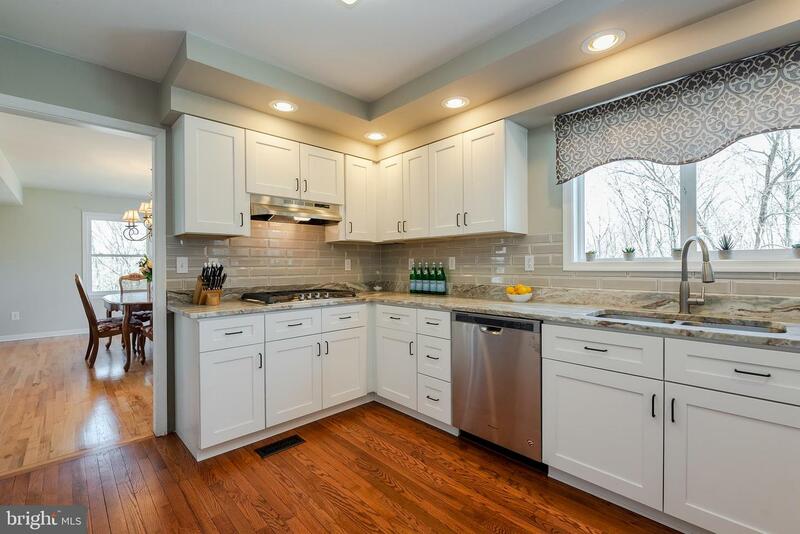 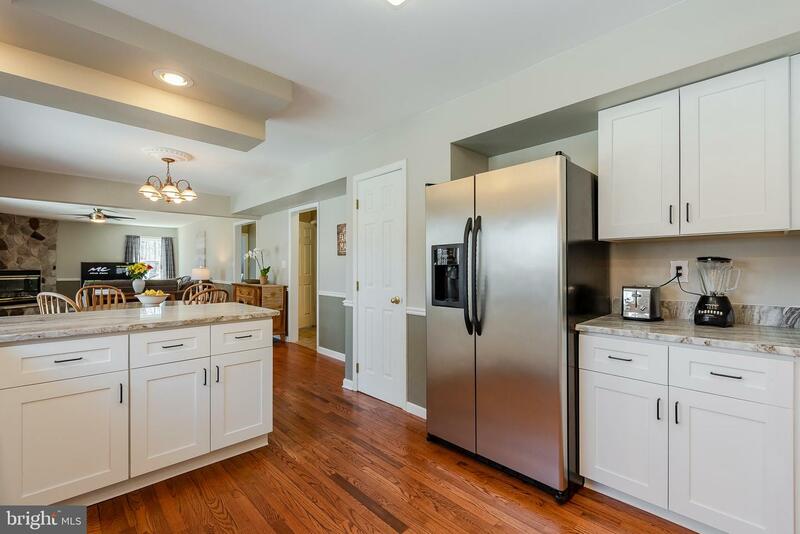 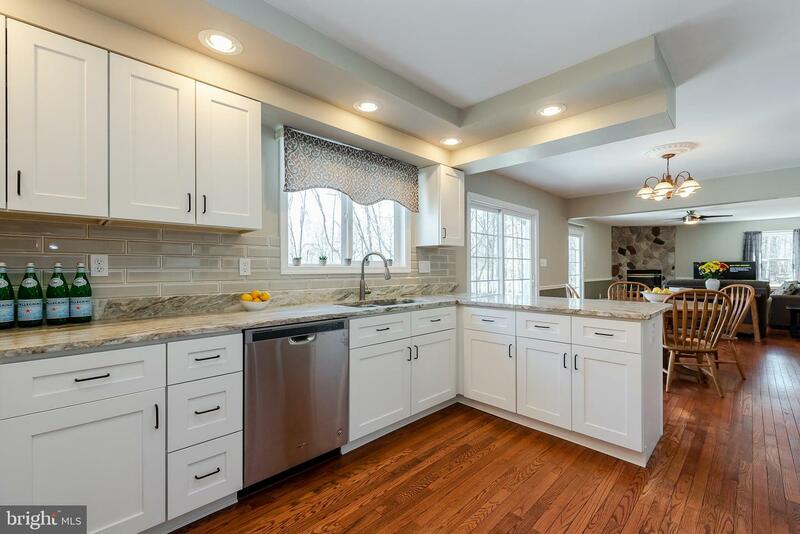 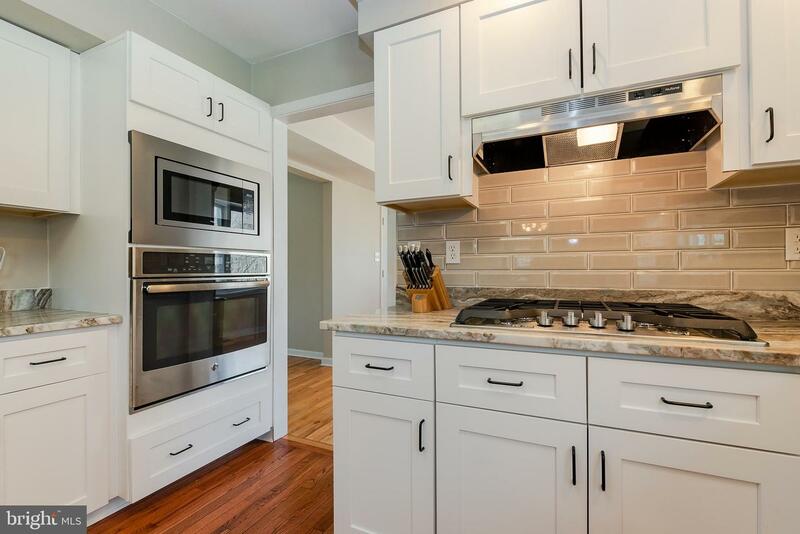 Open living and dining spaces off stunning chef's kitchen w/ white shaker cabinets, exotic granite counters, beveled subway backsplash, stainless appliances + breakfast room! 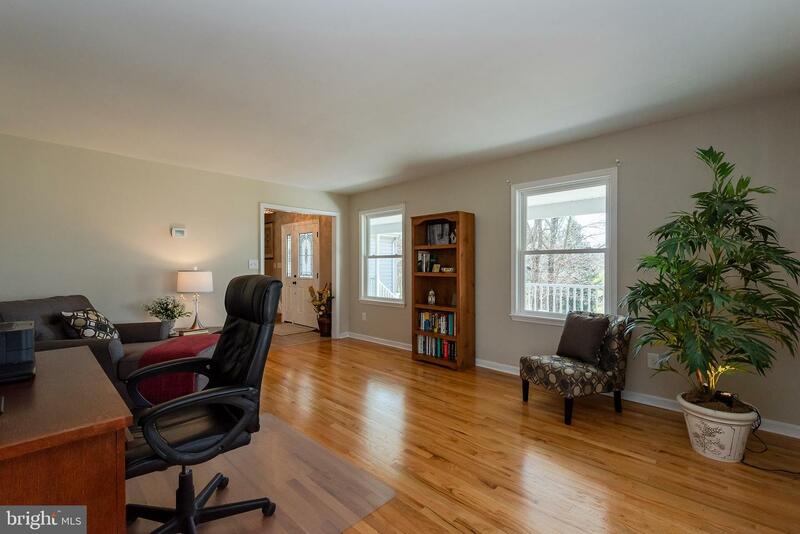 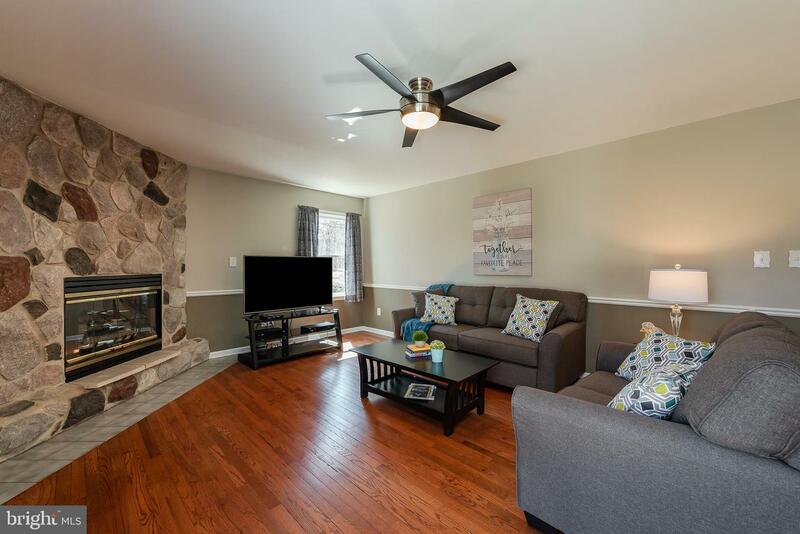 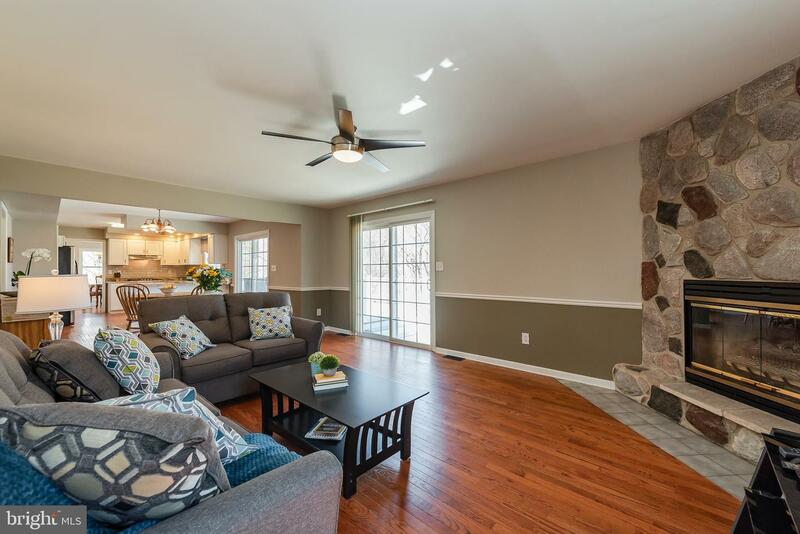 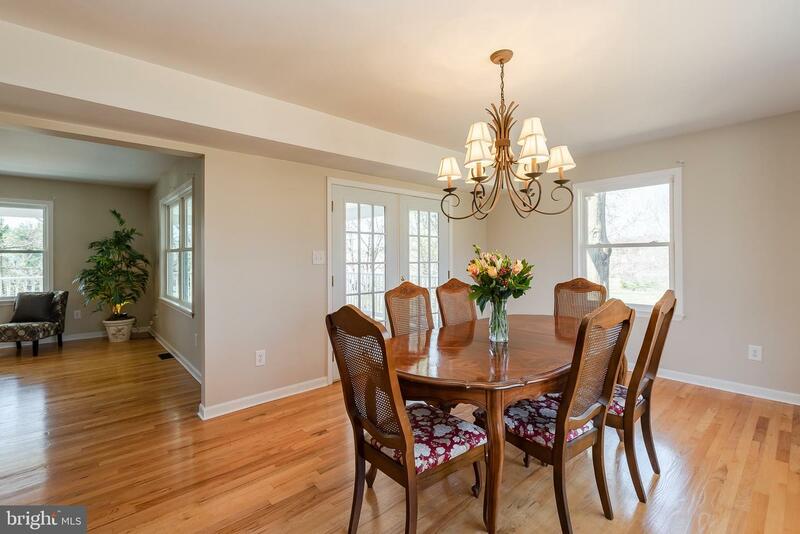 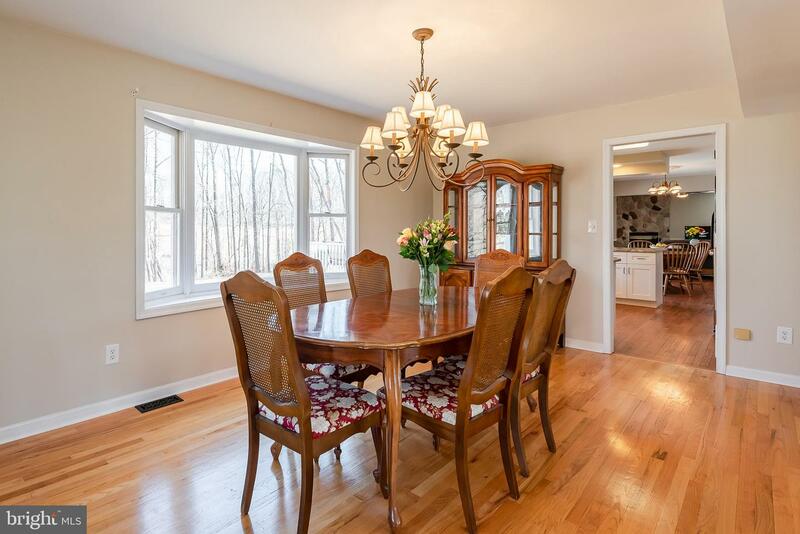 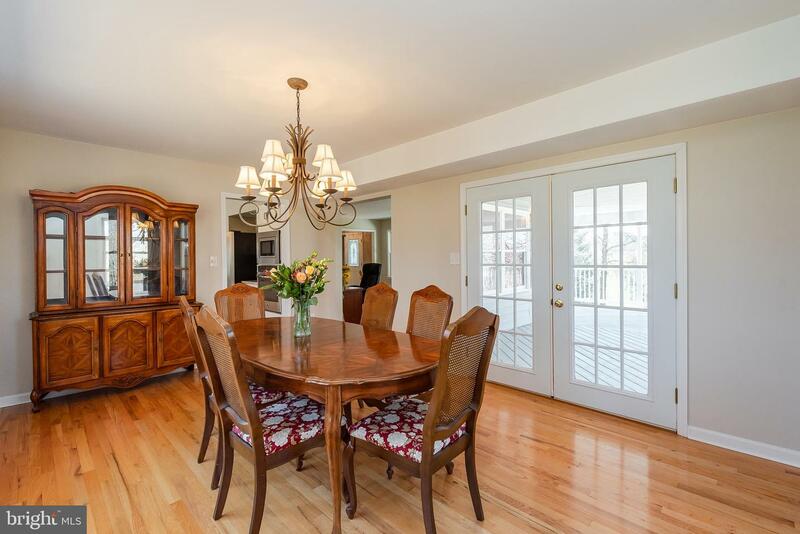 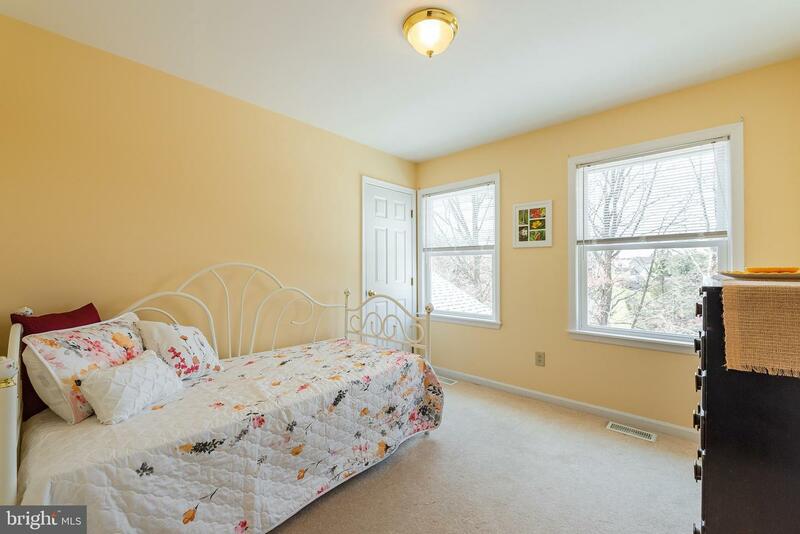 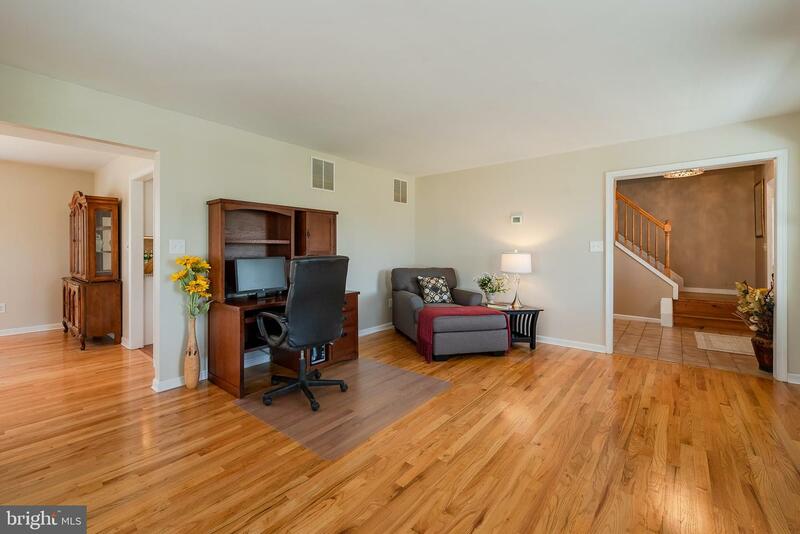 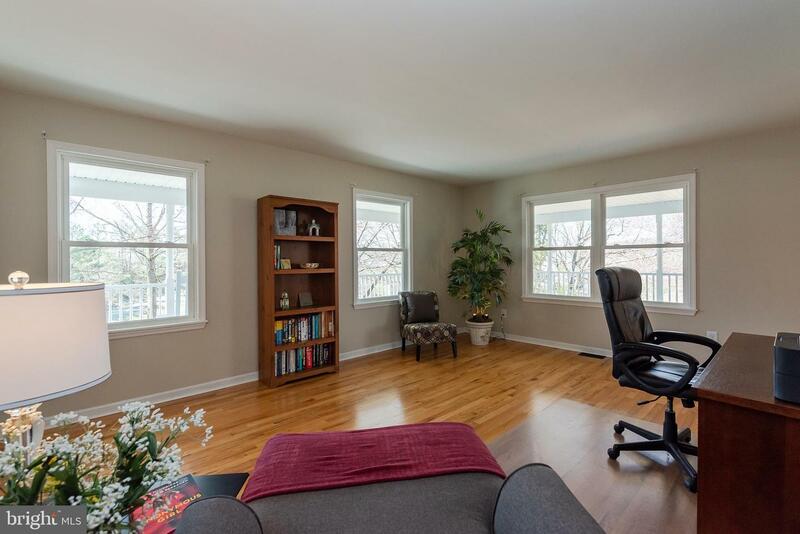 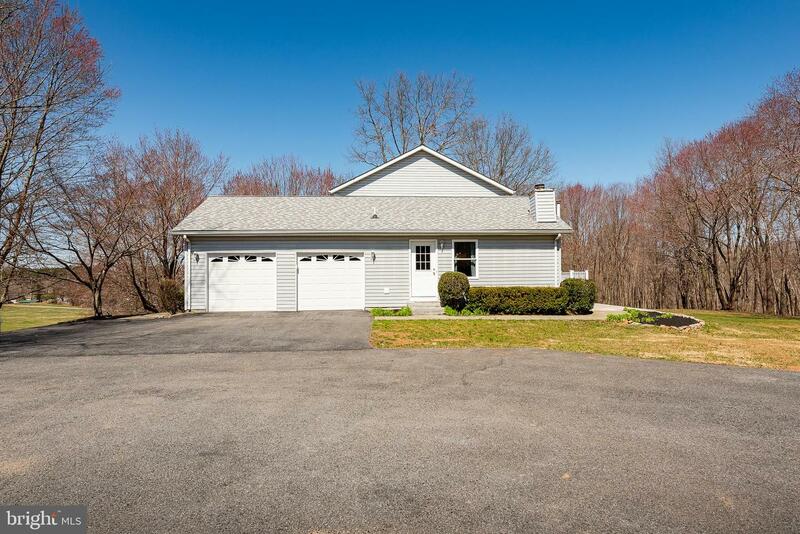 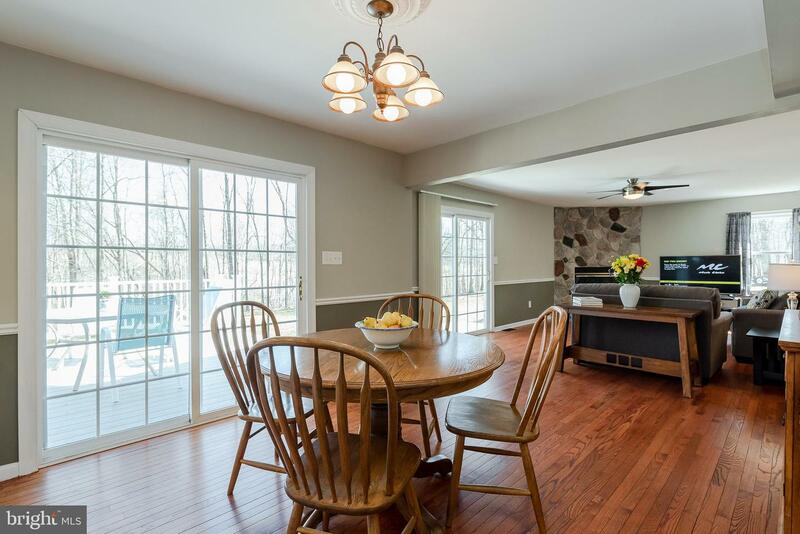 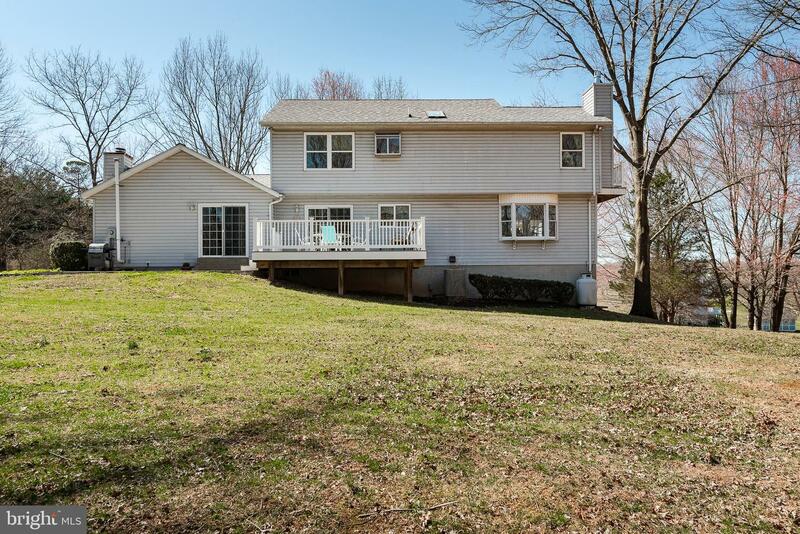 Open family room w/stone to ceiling gas fireplace and picturesque backyard views! 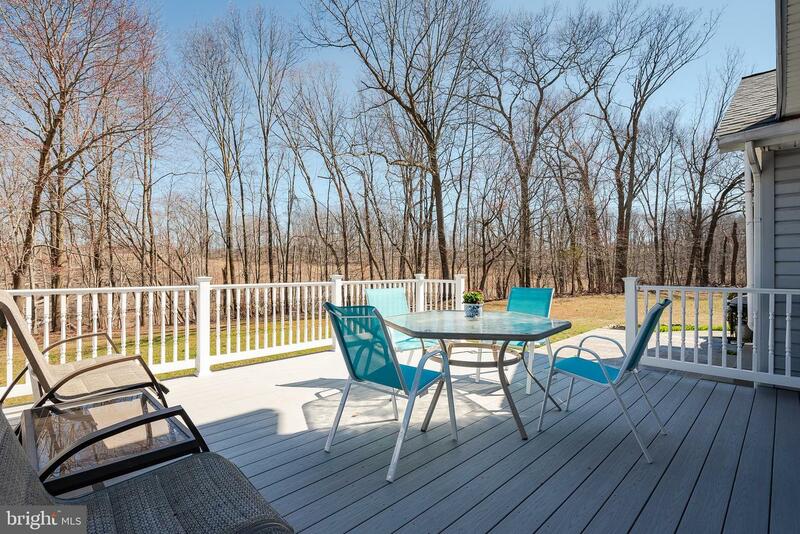 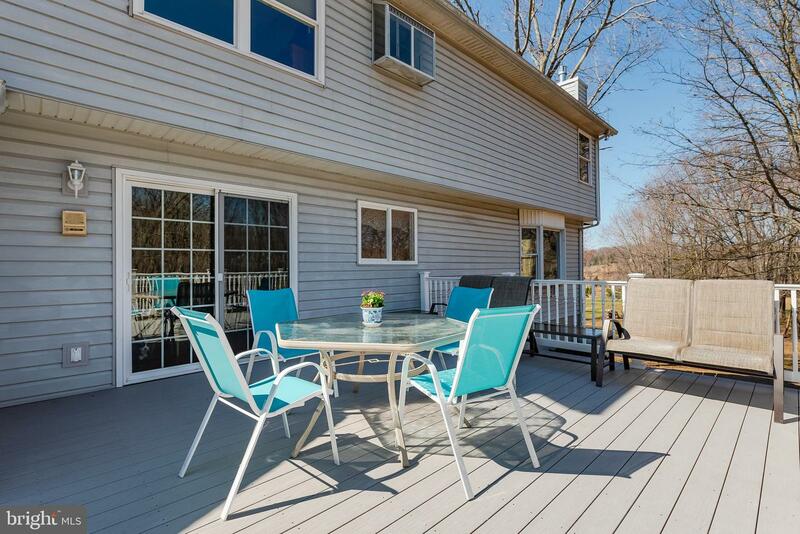 Brick patio and party-sized deck amongst perfect open yard. 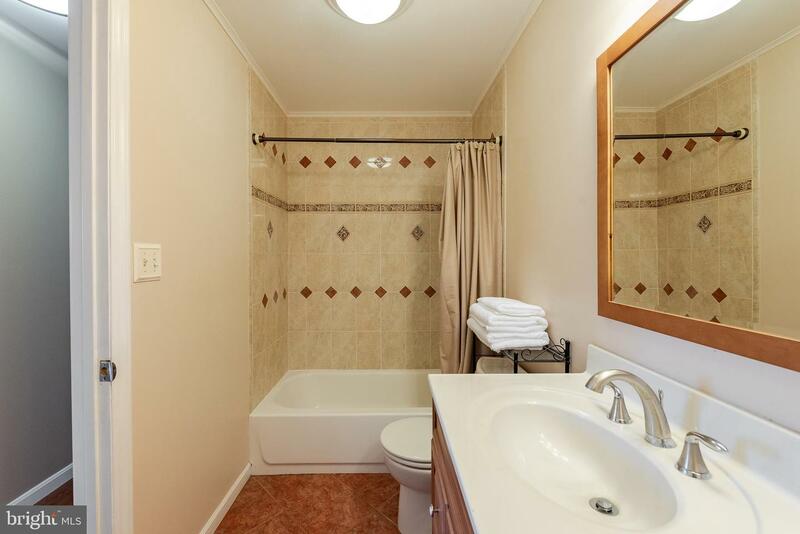 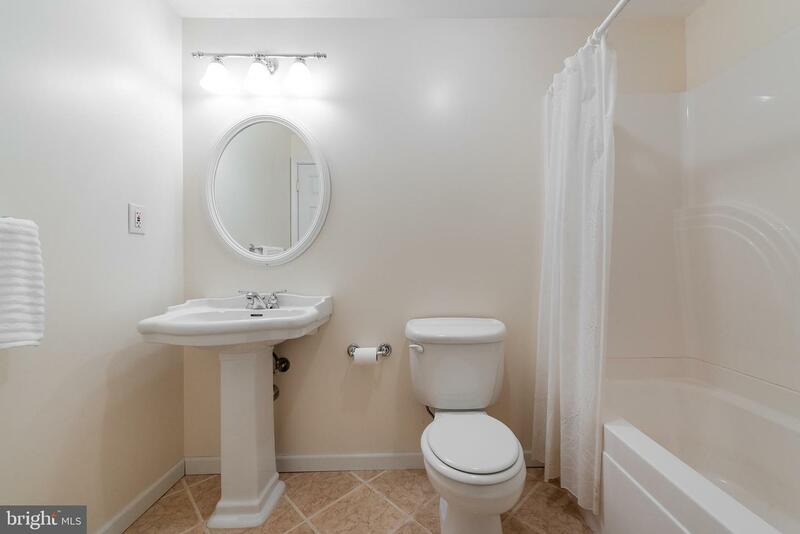 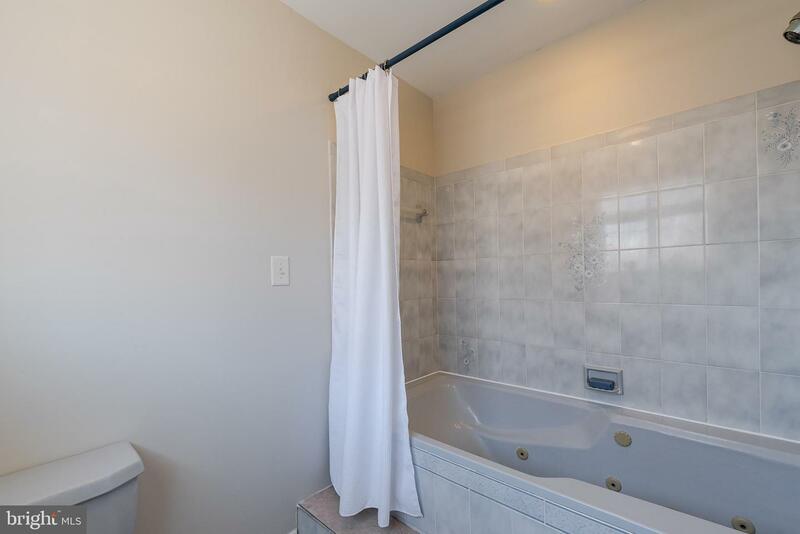 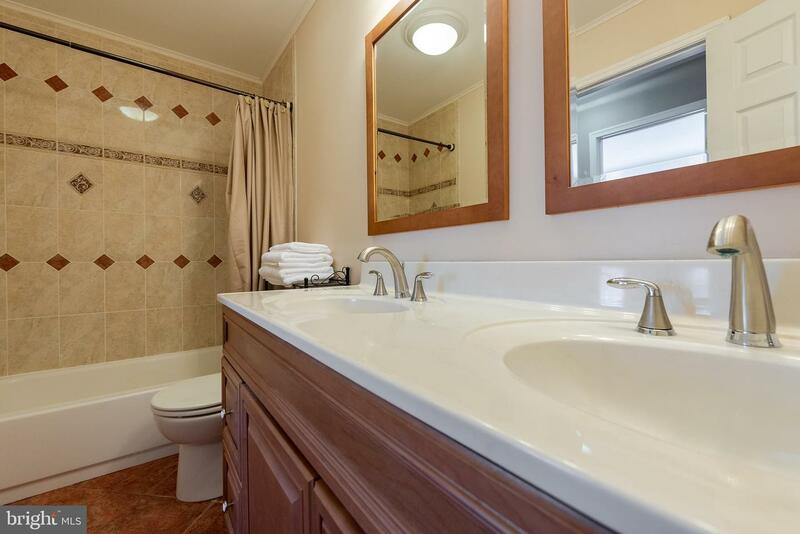 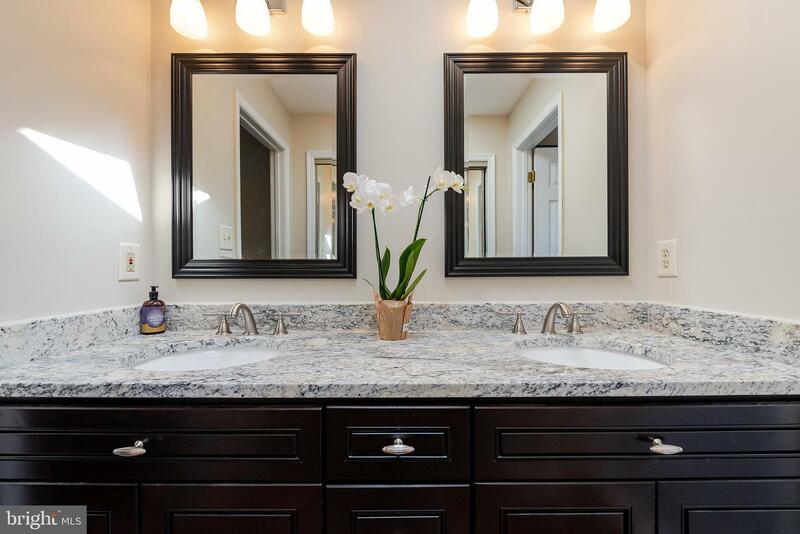 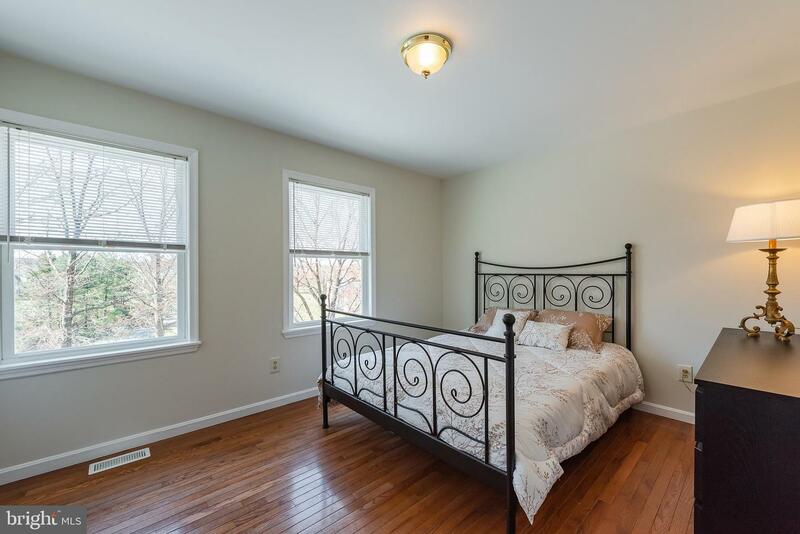 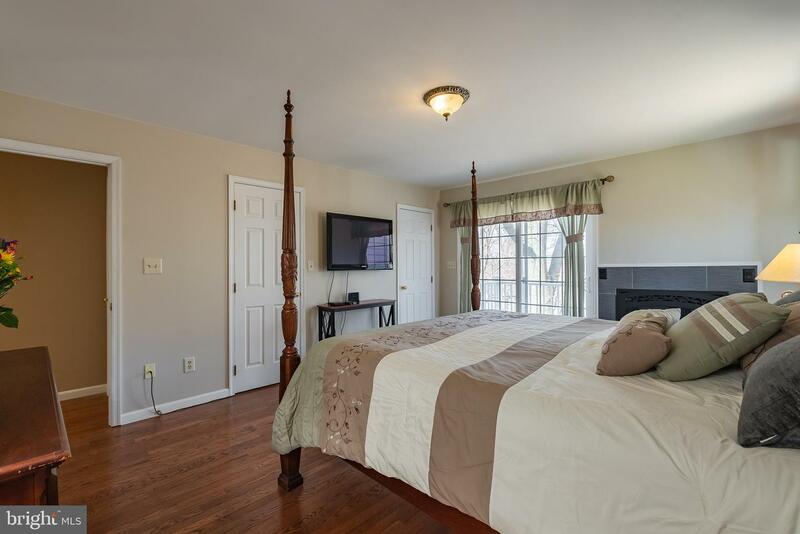 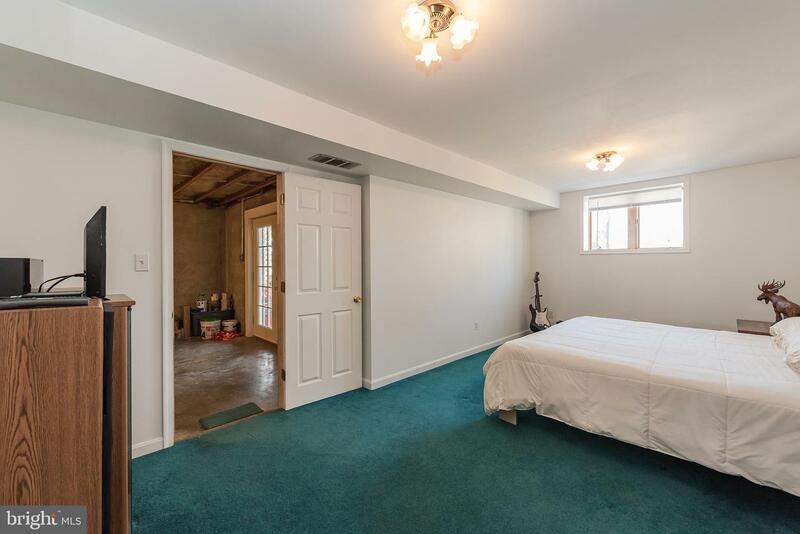 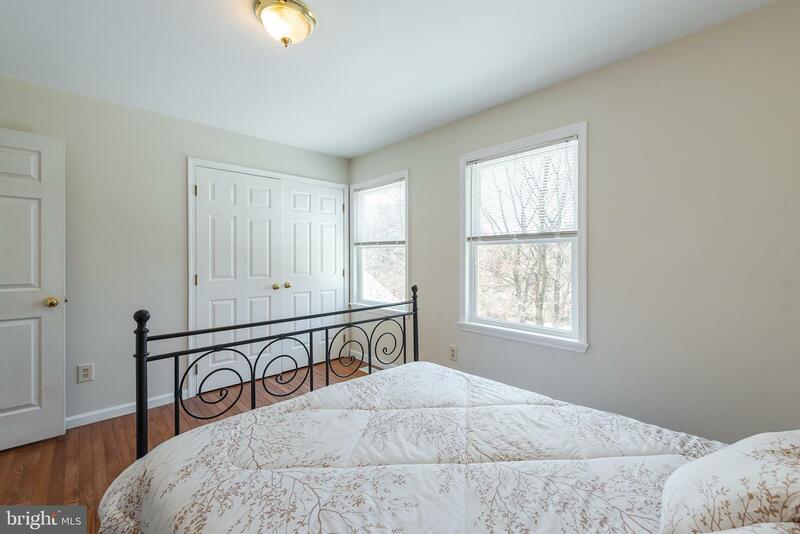 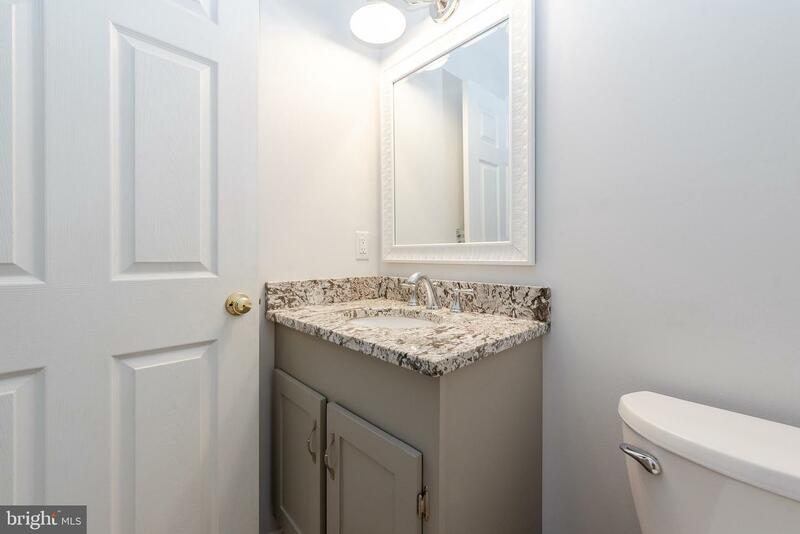 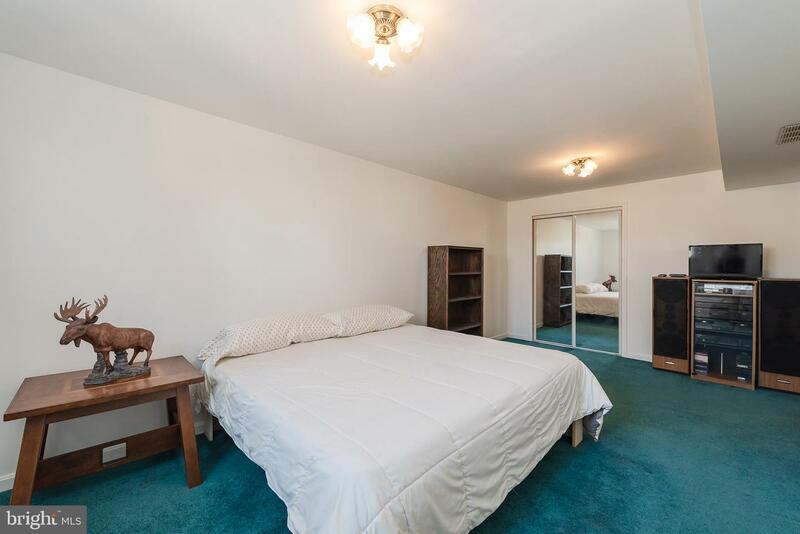 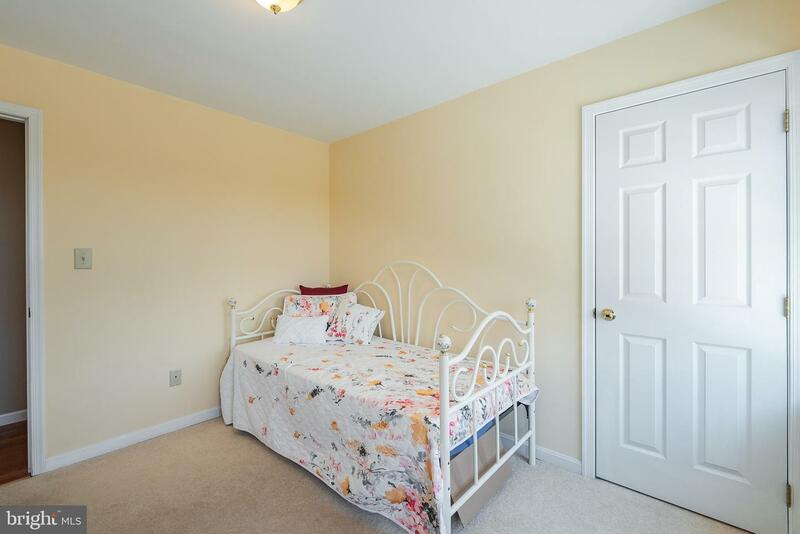 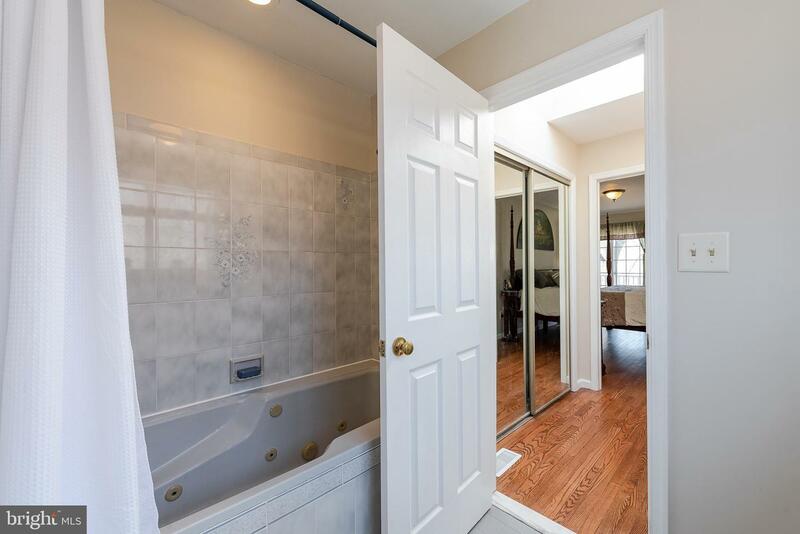 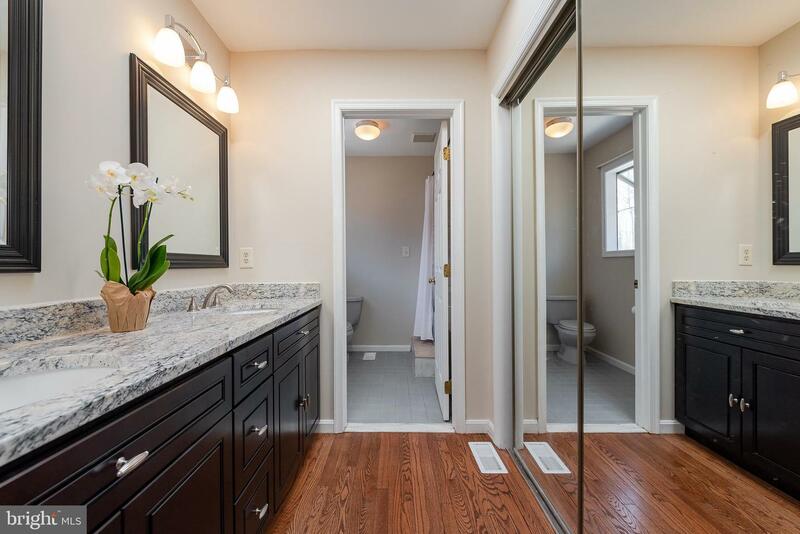 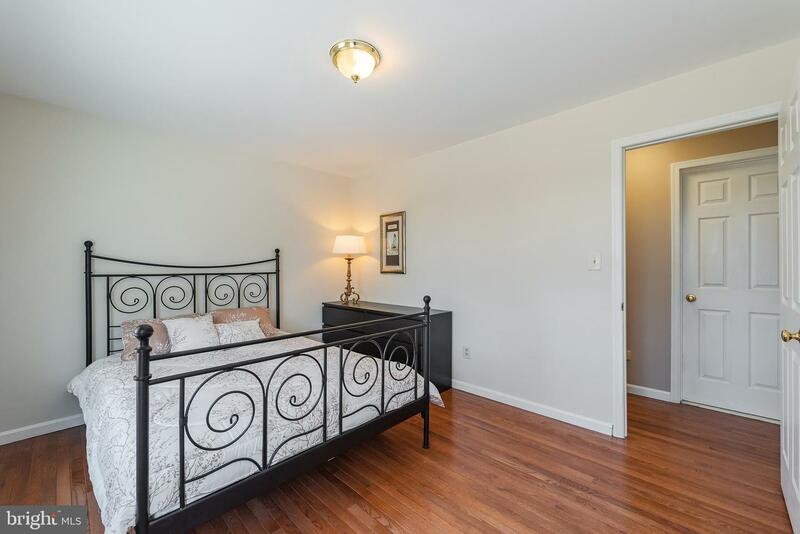 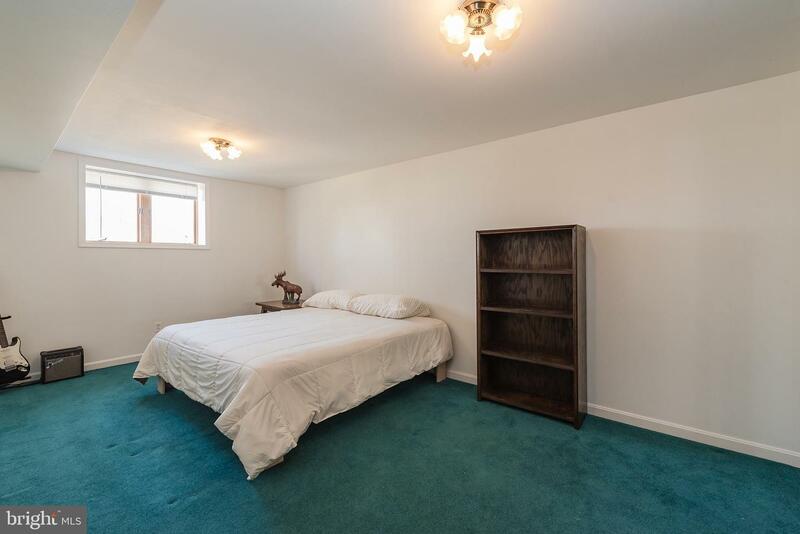 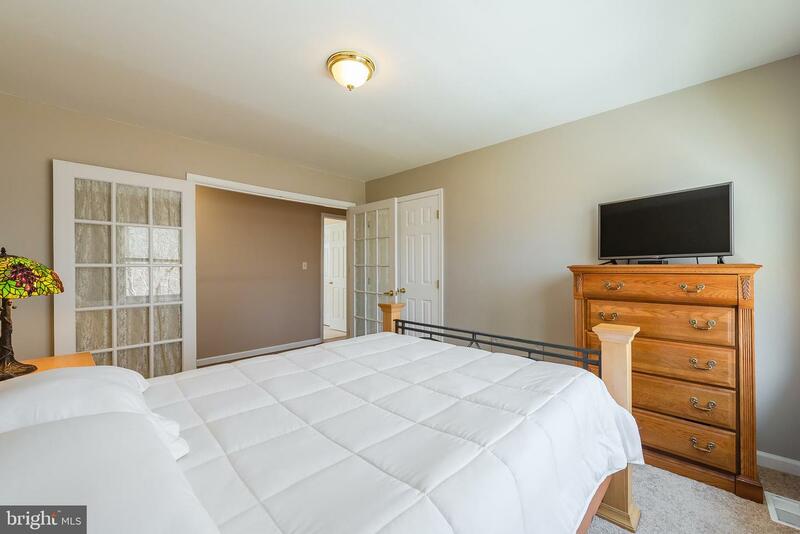 Spacious bedrooms include owner's suite w/ private balcony, custom fireplace, 2 double closets, attached bath w/ granite double vanity, espresso cabinets + jetted tub! 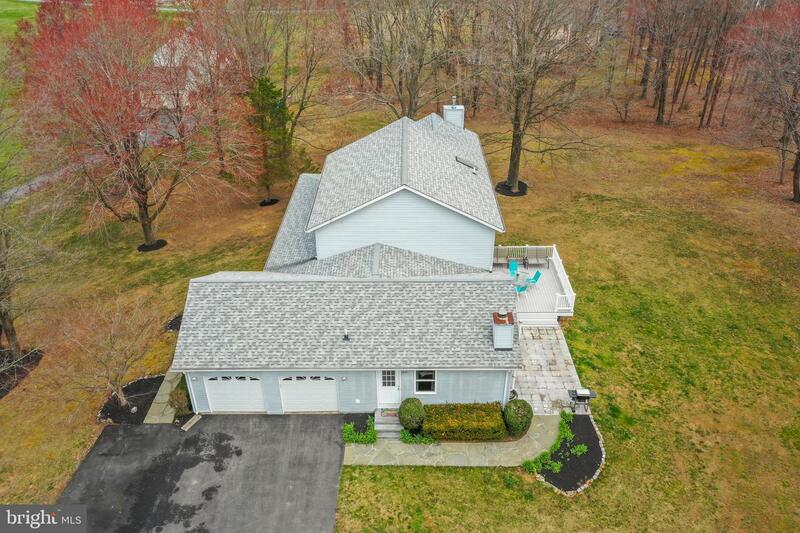 Walkout partially finished LL w/ 5th bedroom and FBA! 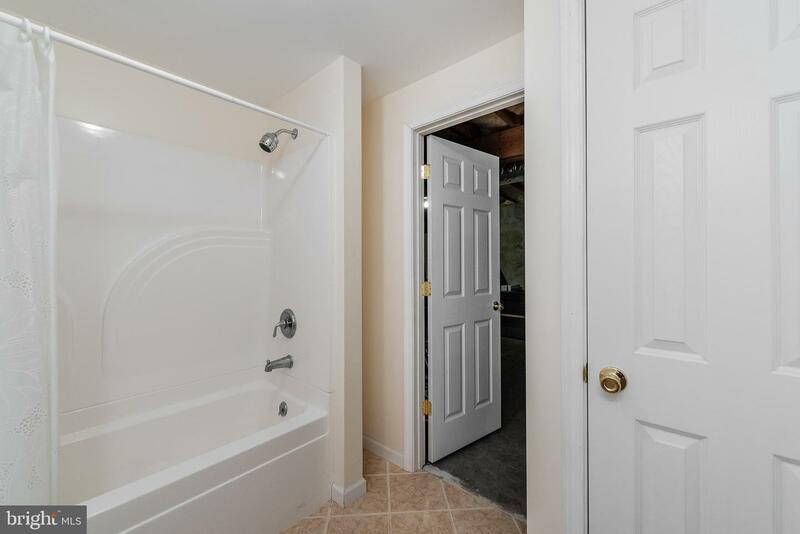 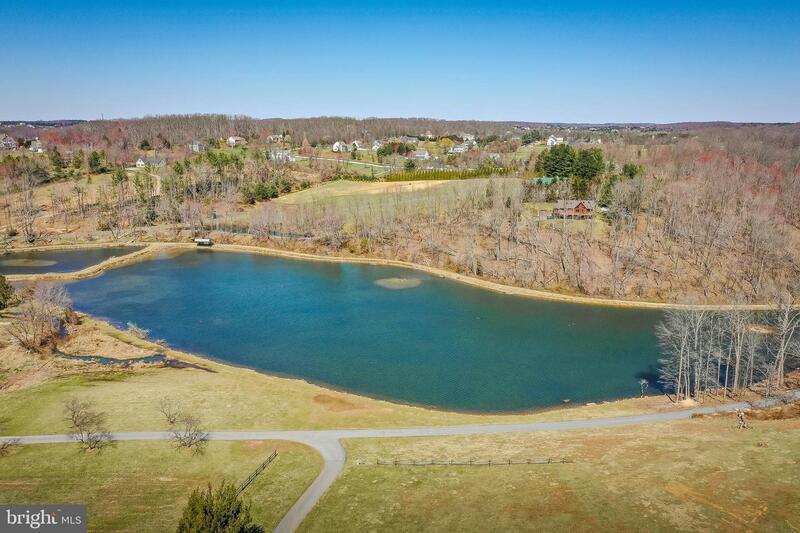 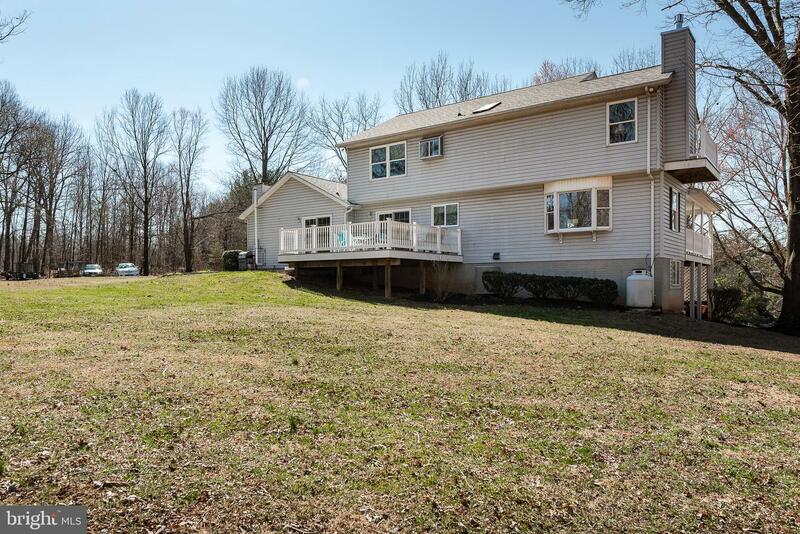 Peaceful and quiet location with access to private community lake. 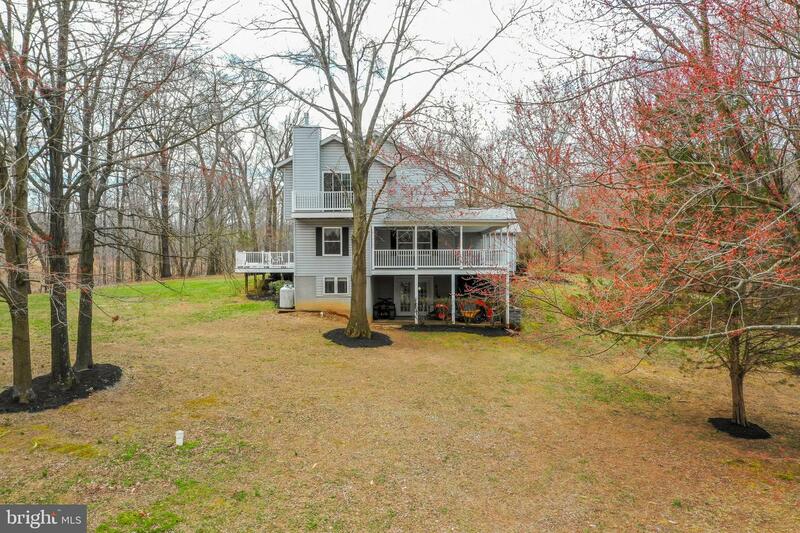 Minutes away from Mt. 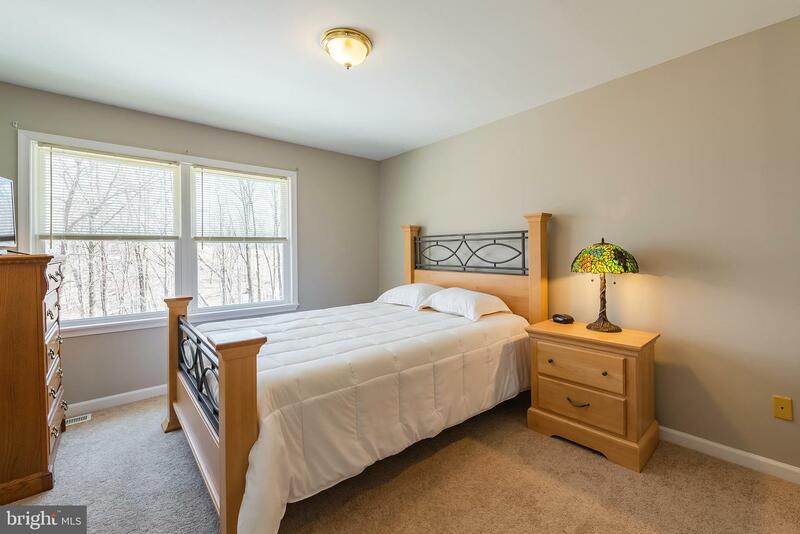 Airy downtown, easy access to shopping, restaurants, and commuter roads including I-70.